Japan's No.1 Organic Miso Maker - Hikari Miso Ltd.
Home » Food & Beverage » Healthy Foods & Organic Foods » Japan’s No.1 Organic Miso Maker – Hikari Miso Co., Ltd.
Japan’s No.1 Organic Miso Maker – Hikari Miso Co., Ltd.
Company Name: Hikari Miso Co., Ltd. Founded by the Hayashi family in 1936 in what is now Nagano Prefecture in Japan, Hikari Miso Ltd. and Hikari Miso International, are Japan’s leading miso manufacturer, and the number one maker of certified organic miso in the world. Inspired by the pristine and natural environment of Nagano, the company has flourished in an area surrounded by what are known as the ‘Japanese Alps.’ These snow-capped peaks are the water source for the company’s green certified manufacturing plant, located in Iijima, Japan. 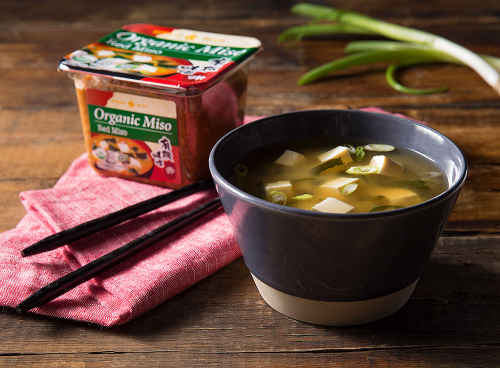 The Company sells its products in Japan, U.S., U.K., Canada, Europe and the Middle East and maintains its Hikari Miso International offices in Torrance, Calif. It was the first miso manufacturer in Japan to earn certified organic status and is also certified organic by USDA in the U.S. and to EU standards. Please find their products on shop below and check the special deal!